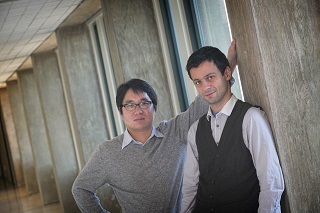 Stony Brook researchers Xiang-Feng Zhou and Artem R. Oganov. STONY BROOK, N.Y., October 21, 2014 – Scientific inquiry is a hit and miss proposition, subject to constant checking and rechecking. 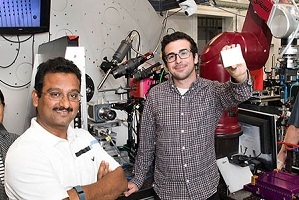 Recently, a new class of materials was discovered called topological insulators—nonmetallic materials with a metallic surface capable of conducting electrons. The effect, based on relativity theory, exists only in special materials—those with heavy elements—and has the potential to revolutionize electronics. Swiss scientists later predicted that a reconstructed boron surface would display a similar behavior—although unlike topological insulators it is a light element, and its surface metallics would be caused by surface atom rearrangement. 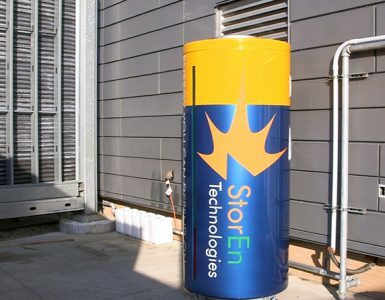 The effect could also have nanoelectronic applications. Physical Review Letters, a peer-reviewed journal of the American Physical Society that is ranked first among physics and mathematics journals by Google Scholar. Zhou is conducting postdoctoral research in the Stony Brook University laboratory of Artem R. Oganov, Professor of Theoretical Crystallography in the Department of Geosciences (Zhou is also an Associate Professor of Physics at Nankai University in Tianjin, China). What struck his interest in the hypothesis for the reconstructed boron surface was that it seemed to conflict with the principle that reconstructions usually lower their energies by atomic rearrangement, leading to a semiconducting (as opposed to metallic) surface state—that is, something in-between that of a conductor and that of an insulator. “Such an unexpected metallic reconstruction encouraged us to explore it and other likely reconstructions and their stabilization mechanisms,” Zhou says. 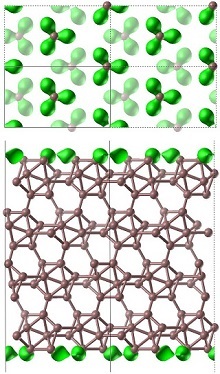 The visual of a boron surface depicts chemical bonding between the absorbed boron atoms and the substrate (in green). 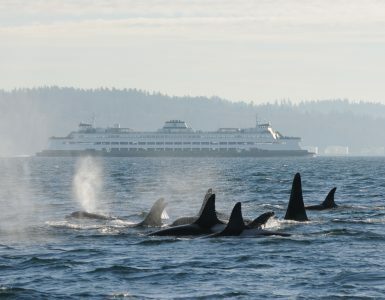 Dr. Zhou was the paper’s lead author; co-authors assisted with discussion, scientific techniques, technical help, and writing the paper. Zhu is a materials scientist and Oganov is a theoretical crystallographer; most of the authors are physicists. 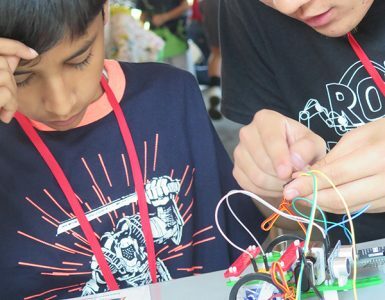 The work was supported by the U.S. National Science Foundation, Defense Advanced Research Projects Agency (DARPA), and Department of Energy; the National Science Foundation of China and other Chinese governmental programs; and the Ministry of Education and Science of the Russian Federation and that country’s Foreign Talents Introduction and Academic Exchange Program. The work, Oganov says, would have been impossible without USPEX. The calculations were performed on the Extreme Science and Engineering Discovery Environment (XSEDE)—which supports 16 supercomputers and high-end visualization and data analysis resources across the United States—and on the computing cluster of the Center for Functional Nanomaterials at the Brookhaven National Laboratory.